Making a Difference One Gown at a Time!! 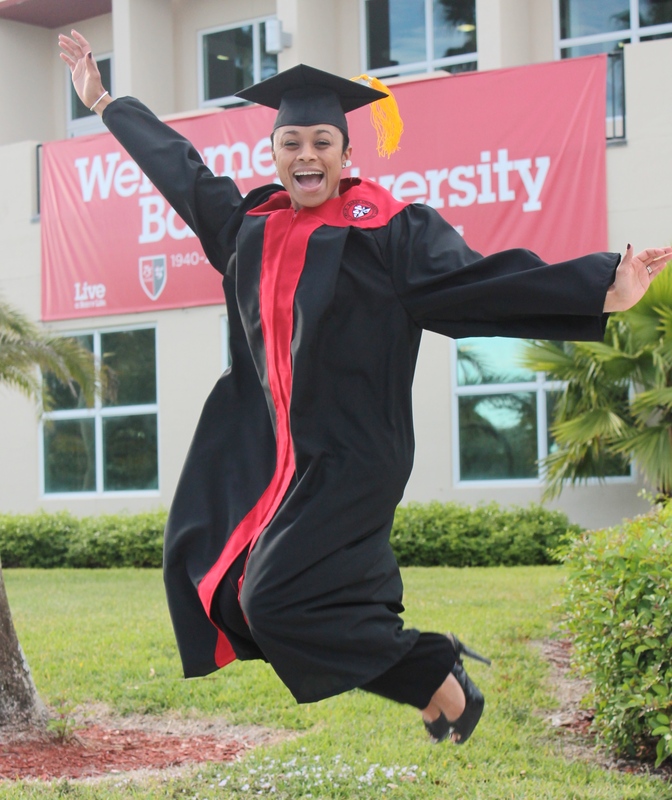 Barry University Bachelor and Masters graduates wear a gown that is totally recyclable. Each eco-friendly gown reduces the amount of material recycled, by using 27 plastic bottles that will not end up in a landfill. Along with saving bottles from the landfill, each gown gives back to the environment and introduces another avenue for sustainability. To receive your diploma, you must register for a Barry University Degree on Web Advisor after your academic advisor has given permission. Students seeking a degree must be registered by the announced/published deadline for a particular degree date. Once the deadline has passed, students will not be able to receive their degree until the next degree date. Students registering to receive a Bachelor's or Master's degree will pay a $200.00 fee. 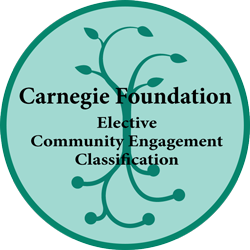 Students registering to receive a Doctoral degree will pay a $250.00 fee. The graduation fee applies to all graduating students regardless of whether or not you attend the ceremony. The fee covers the cost of the diploma, cap & gown, printing of programs, rental of the ceremony site, the Graduation Survey, and other items associated with graduation. So that Career Services can best serve Barry students and alumni, we need some information from you! The graduation survey will be emailed to your Barry mymail account a week before the commencement ceremony. All graduating Students must complete the survey in order to pick up their cap & gown. Students must bring the survey receipt to cap & gown pickup. Complete the senior survey and enter to win a diploma frame valued at $150.00, provided by Herff-Jones. Herff-Jones Ring Company will be on campus in the bookstore throughout the semester. The dates that they will be on campus are listed at www.herffjones.com/college/barry. Account balance must be under $1000.00 to pick up caps and gowns. 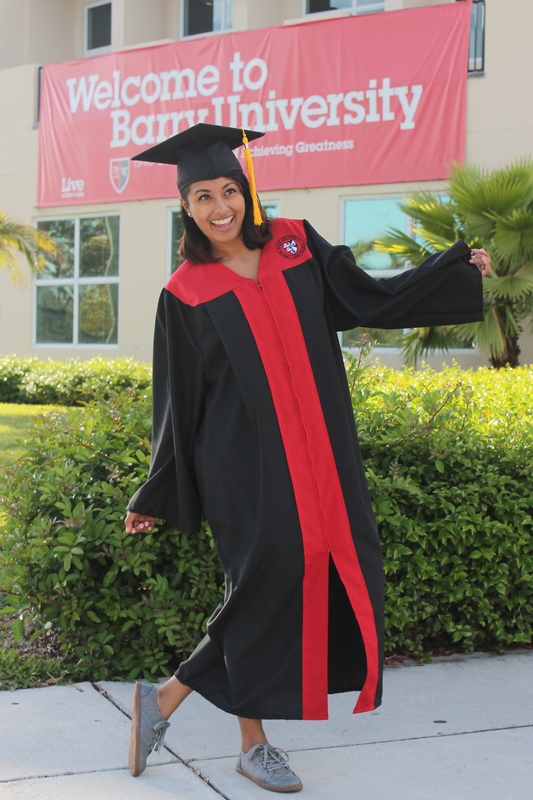 Friday, May 10: 9:00 a.m. - 6:00 p.m.
Barry University conforms to the Intercollegiate Code for academic dress which regulates what is worn with the academic gown, hood, and cap for the commencement ceremony. 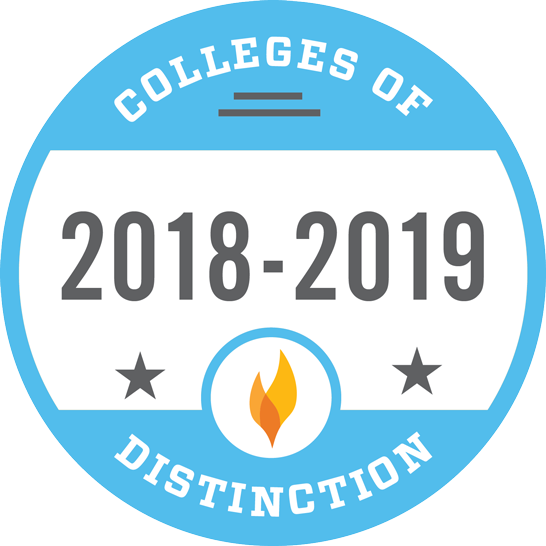 Students may only wear honor cords given by Barry Academic Honors societies. Honor society, sorority/fraternity satin scarves may not be worn. The Photographer will be on campus for pictures in Landon Student Union. Friday, May 10 2:00 p.m. In recognition of the dignity and importance of the Commencement Ceremony, we ask that all attendees observe good manners and appropriate decorum throughout the Ceremony. 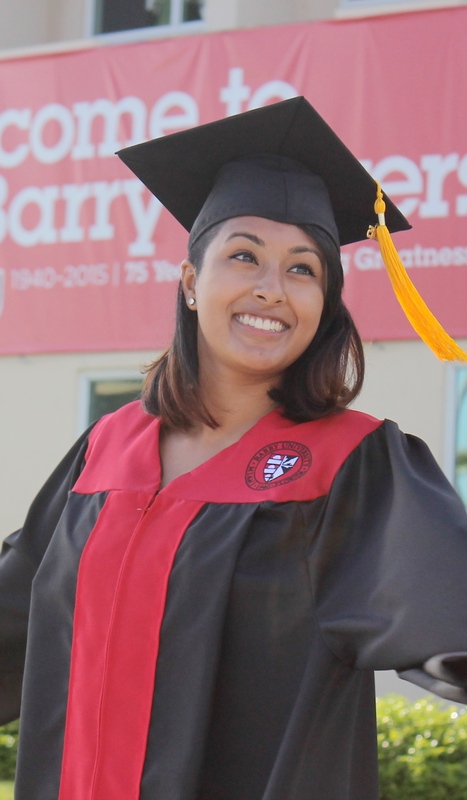 Barry University reserves the right to remove persons who disrupt or disrespect the Ceremony with inappropriate, rude or discourteous behavior or vocal expressions. Additionally, please hold your applause until all graduates have been recognized so that each graduate’s name can be heard.